Ratko Zjaca is considered a very gifted stylist, assumes many roles in his macrocosm of music: contemporary guitarist, composer, performer and educator. His unique musical vision absorbs and reflects all manner of music while retaining an enviable individualism and high quality craftsmanship that can span from quiet intimacy to searing intensity. Diverse musical backgrounds, which include jazz, world music, and free improvisation. He has been working on original compositions as well as crafting beautiful and haunting improvisations. He invented a unique style that is fearless, ambitious and volatile. He studied and graduated from Zagreb University. In his drive for the necessary knowledge and the enormous need for studies he sought his refuge in The Netherlands at the Rotterdam Conservatory. There he could get teachings by well-known masters. He also followed masterclasses and personal courses with Joe Pass, Jim Hall, Pat Metheny, Mike Stern, Bob Brookmayer, John Abercrombie, Mick Goodrick, Hariprasad Chaurasia and others. After completing his study at the Rotterdam Conservatory where he studied jazz guitar, composition and Indian classical music, he also studied at New York University School of Music. He started to work with own group and with American trumpet veteran Benny Bailey group. Ratko participated at many international festivals and has been booked for the major club dates at the European and American scene. Ratko has constantly made major efforts to enrich his experience with appearances and recordings. He was also performing and recording with Benny Bailey, Gary Peacock, Reggie Workman, John Patitucci, Al Foster, Jimmy Cobb, Steve Gadd, Antonio Sanchez, John Riley, Alvin Queen, Ron Carter, Randy Brecker, Miroslav Vitous, Jeff Tain Watts, Adam Nussbaum, Kirk Lightsey, Simone Zancini, Anders Bergcrantz, Shawnn Monteiro, Denise Jannah, Renato Chicco, Stefano Bedetti, etc. In April 2000 Ratko recorded “A Day in Manhattan” in New York with members of John Coltrane and Miles Davis rhythm section, Reggie Workman and Al Foster. Ratko started a new quartet with the legendary bass player and composer Miroslav Vitous. Ratko released a new record, Continental Talk, with John Patitucci, Steve Gadd, Randy Brecker and Stan Mitrovic. He just released a new CD “The Way We Talk” with Simone Zanchini, Adam Nussbaum and Martin Gjakonovski. “Now and Then” is Ratko’s latest CD with his favourite musicians: Miroslav Vitous, John Patitucci, Reggie Workman, Al Foster, Randy Brecker and others. A new CD of the ZZ Quartet, “Beyond The Lines”, on In+Out Records is out now. A new CD “Don’t Try This Anywhere” is out now – Ratko with Simone Zanchini, Adam Nussbaum, John Patitucci and Stefano Bedetti. The CD “Don’t Try This Anywhere” has won the Orpheus Award for 2016 – the best Italian production 2015 for jazz music. A new CD “Life on Earth” is out now – Ratko with Antonio Sanchez, Stefano Bedetti and Renato Chicco. Ratko performs on handcrafted guitars made by Chris Mirabella. Ratko uses CP-1A pickups for acoustic guitar from Carlos Juan. 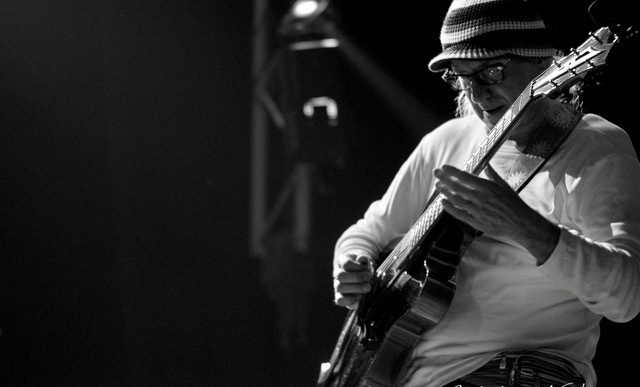 Ratko Zjaca is nominated for best guitarist and musician in South American El Intruso New Creative Music Criticts Poll Award for 2010 by an international vote of journalists.